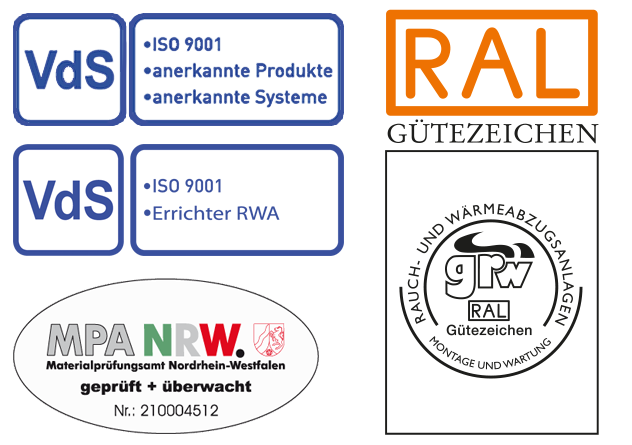 The term “AIRSYSTEM” stands for the mechanical venting and heating effected by a channel system. 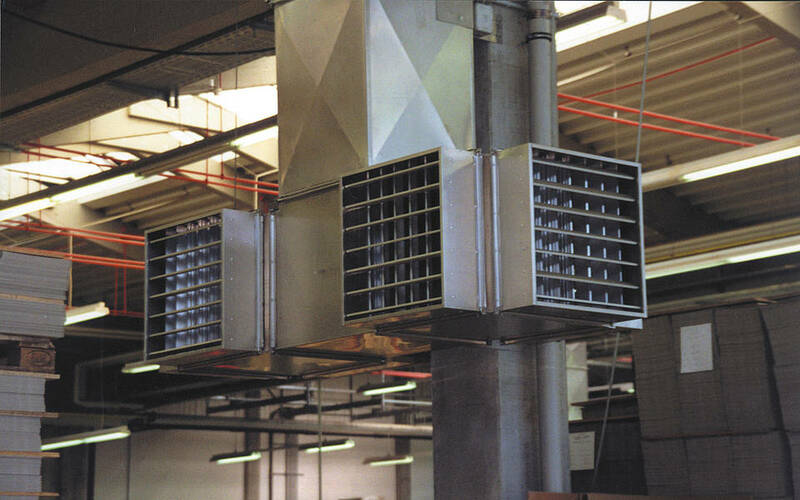 The AIRSYSTEM consists of various modules which are screwed together for transporting air. 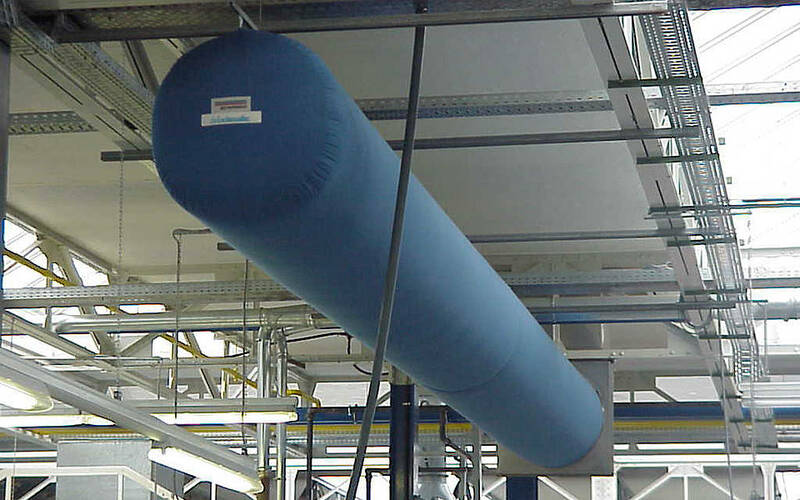 It is distinguished between the supply air system, which transports fresh air to the workplace and the discharging system, which exhausts used air from the workplace. 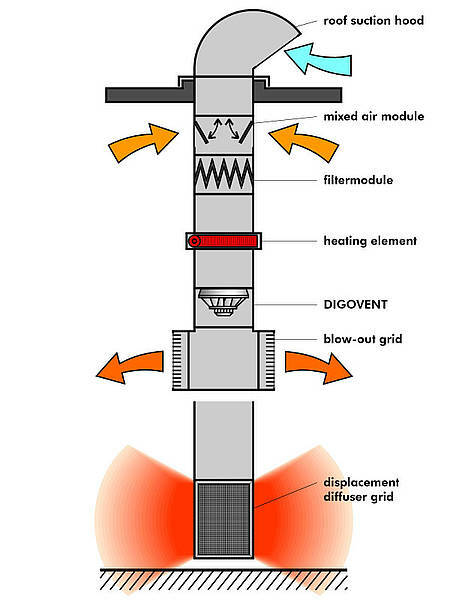 Whilst the supply air system offers the option to temper the supply air, the discharging system is used to exhaust toxic vapours that arise for example at a welding station. 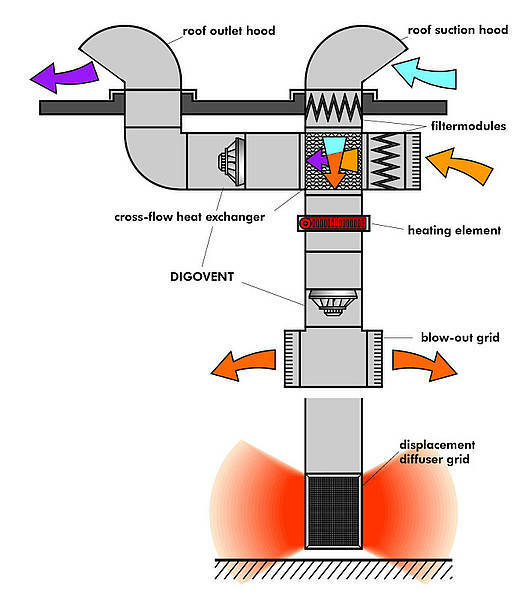 The combination of supply air and discharging system enables the withdrawal of heat from the used air by means of a heat exchanger in order to use this gained heat to re-warm the supply air in an energy-efficient way. The AIRSYSTEM may be built in two different ways. Whilst the ISOVENT combines a mixed air unit with ventilator, filter and possibly heater battery, all of these functions can be peripherally operated by means of individual modules. The used ventilator module DIGOVENT only fulfils the function of a ventilator and provides with a capacity of 2,000 to 9,000 m³/h a considerably lower air volume flow rate than the ISOVENT. In those places where draft arising from the system doesn’t matter or where air is only discharged, normal louvres are sufficient. 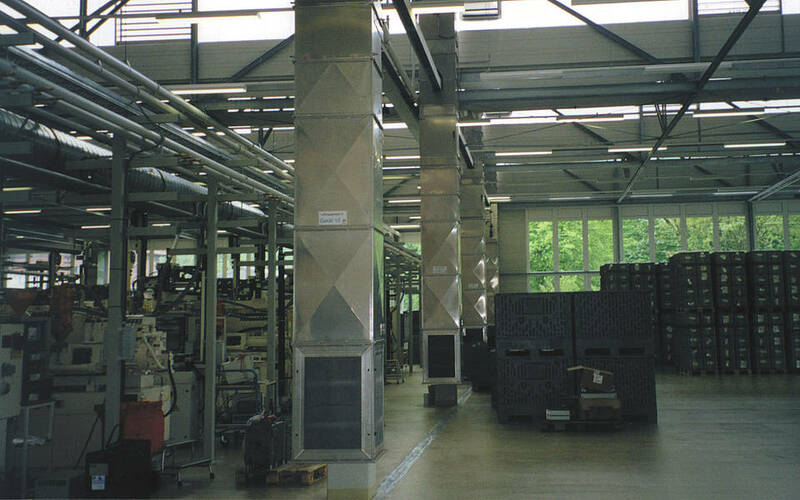 The latter are available as a single row louvre construction for a vertically adjustable air deflection or as a double row louvre construction for horizontally and vertically adjustable deflection. 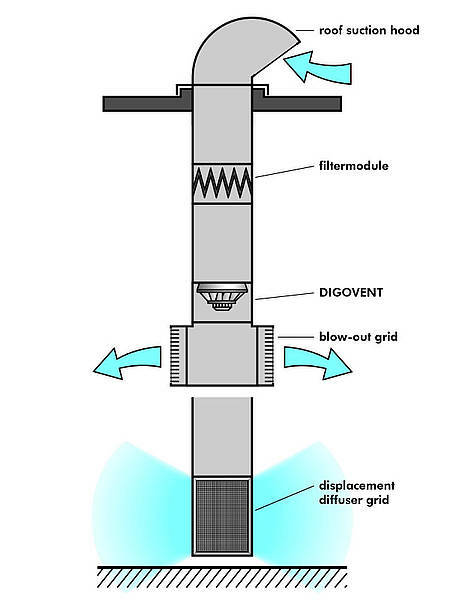 In contrast displacement diffuser grids ensure that the released air is swirled, thus changing the flow characteristics of the air in such a way that it is no longer felt as being a draft. So-called textile channels go even further and regulate the released air still more subtly. 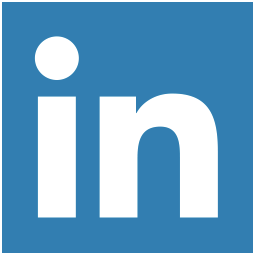 By letting it flow through an air-permeable fabric, the air can disperse evenly within the radius of the exit face.